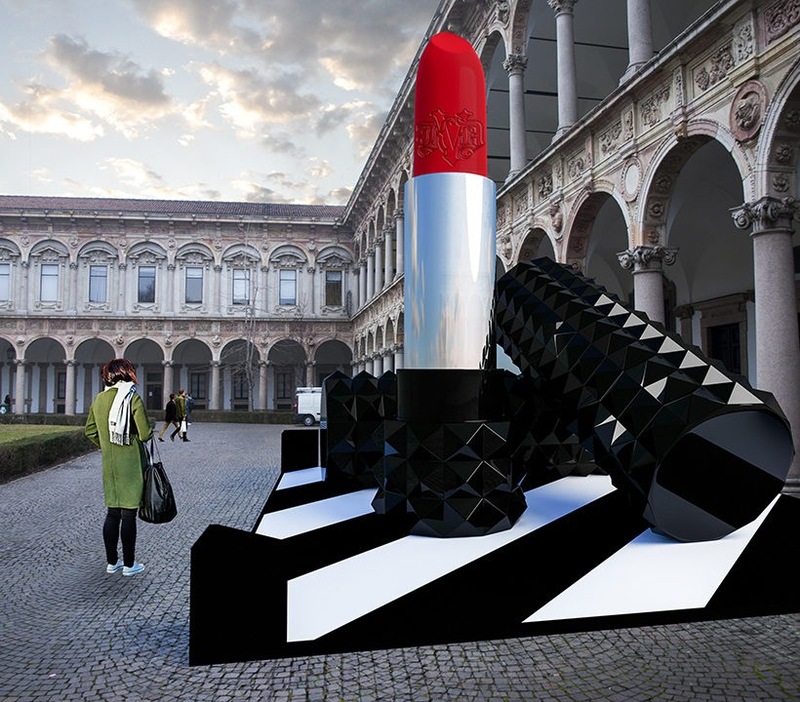 A giant lipstick soars inside the Cortile d’Onore, in an evocative off-scale game. 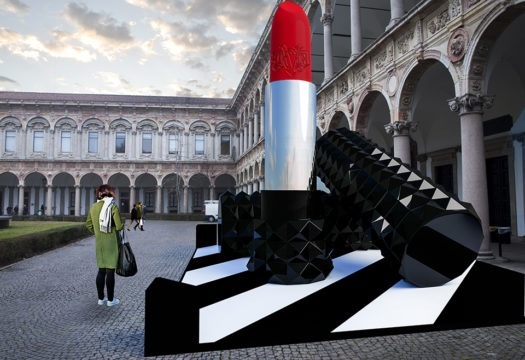 Two lipstick caps lie on the ground like monoliths, suggesting the columns of an ancient temple. The character of the surface stands out: a studded covering, unusual in the packaging of make-up, which when reproduced on a large scale reminds us of the ashlar work on the facades of italian renaissance buildings. The London-based studio Another Space interprets the Studded Kiss lipstick of designer and tattoo artist Kat Von D, proposing an unusual, engaging experience of the brand. The sculpture forms a setting for interactive activities to create a dialogue between visitors and the installation. 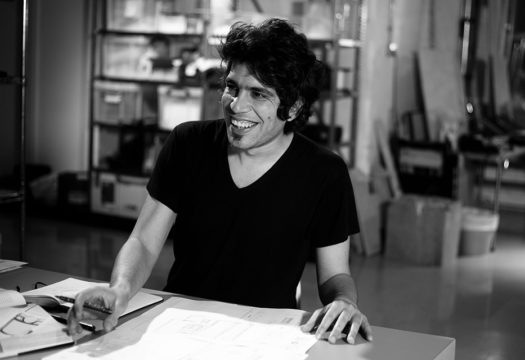 An experience that starts with the initial impact of the materic substance of the work, and gradually transforms into an interaction, immaterial itinerary.